It is no secret that you always want to have beautiful skin. 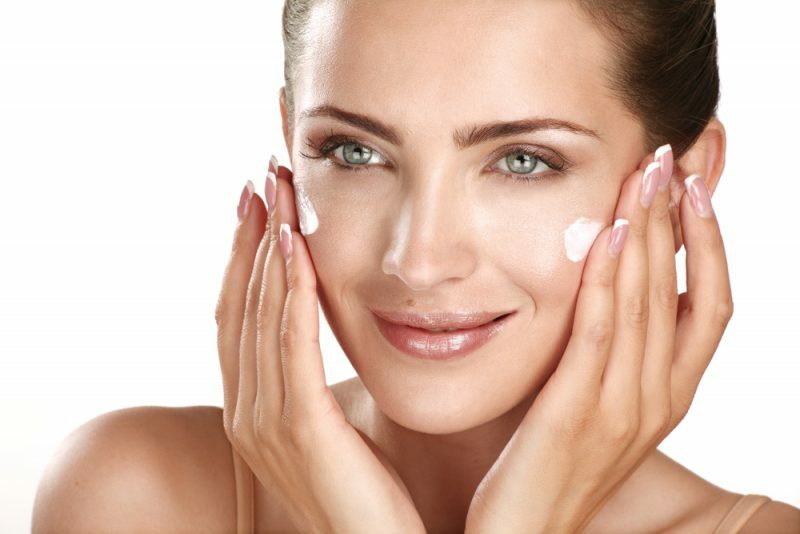 One way to ensure a supple, soft and radiant skin is by wearing a sunscreen every time. It may be a surprise, but the benefits of a good sunscreen do not only lie in protecting your skin against UV light. 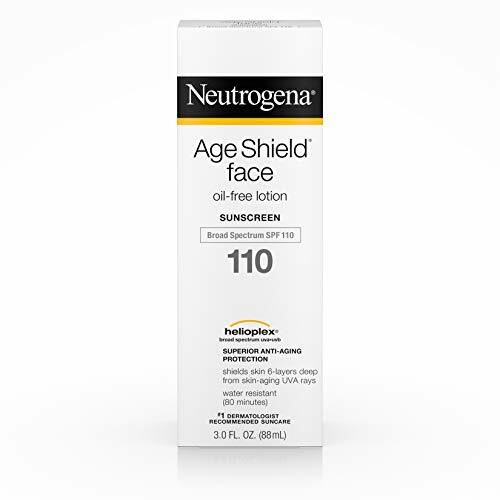 A good sunscreen can as well help prevent premature aging. How is this so? Not wearing a sunscreen every day. Well, exposure to the sun leads to the formation of 90% of wrinkles on our skin. Yes! A whole 90 percent. Dermatologists’ advice that wearing sunscreen every time you want to spend time outside is very important. You need to choose a broad spectrum sunscreen that provides you with the protective capabilities against UVA and UVB rays. The cause of sunburns are the UVB rays while skin cancer is brought about by the UVA rays. However, the skin is very delicate and using the wrong product may do more harm than good. With the various products in the market, choosing the best may be a futile task. Experimenting on all the different brands in the market is demanding. Therefore we have made the selection of the best sunscreen for the face in the market. Compiled is a list of the top 8 sunscreens for the face that will surely work for you. One of the best sunscreens in the market, the EltaMD protects the skin against UV light and helps the skin to stay hydrated. It contains Hyaluronic Acid that makes the skin smoother, softer and wrinkle-free. The company has dedicated decades into the production of beauty products that are certified by physicians. You can use the EltaMD regardless of your skin type, lifestyle or individual skin need. The sunscreen is made with a zinc Oxide due to the photostability qualities it has. Zinc is capable of protecting the skin against the sun rays. It can be used even with the most sensitive skin. The sunscreen smoothly glides on the screen and is absorbed similarly as fast. Some antioxidants fight free radicals on the surface of the skin that comes as a result of ultraviolet rays (UV) and Infrared radiation (IR). By applying the EltaMD, you secure yourself from UVA (aging rays) and UVB (Burning Rays). You can wear the EltaMD sunscreen alone or under makeup. You can choose from tinted to untainted formulas. Supergoop was created to change the pre-set notion of sunscreens. Usually, people associate sunscreens to leaving a sticky, smelly and tacky feel on the skin. The brand uses natural ingredients in the production of supergoop. One component is the sunflower extract used. By providing beta carotene, the skin gets protection from environmental factors. The rosemary used to give skin a somewhat calming effect. It is also rich in anti-oxidants that help fight off radicals on the skin. Supergoop also contains rice bran that deals with the ultra-violet rays. Supergoop is kid-friendly. By educating your children on the importance of using sunscreen every day, you can protect them from sun exposure, and sunburns hence reducing their chances of getting cancer. The creator of the product supergoop is a mother. That provided her with the ability to prioritize on getting a sunscreen product suitable for the kids. Not only one to be used for the beach, but the Supergoop sunscreen is also everyday wear. While using it, you need to apply the sunscreen every two hours. Also, you can use the sunscreen with other skin products from Supergoop. Even so, do not forget to ask your sunscreen on the sensitive parts such as the eyes, lips, and ears. If you are looking for a product that will offer you the best matte finish, the Coola Suncare mineral face is just what you need. The product is made from rose hip seed oil a natural farm product with numerous amounts of antitoxins that fight off any aging properties brought about by the sun. The primrose gives a natural calming effect as the flaxseed oil equips you with omega-3 and gamma linoleic acid that helps your skin remain elastic and hold onto the moisture. This lotion is unscented and contains shea butter to keep the skin smooth and soft. While using this lightweight product, you can be sure to get a matte that is lightly tinted and one that leaves your skin hydrated and looking fresh. Coola Suncare has received the Best Natural Sunscreen award from the New Beauty Magazine in 2013 and 2014. The product is water resistant, allowing you to walk comfortably in the rain without the fear of it peeling off. Coola is made for use by any skin tone. However, it performs amazingly on people with oily and sensitive skins. To use, you need to apply it on your face and follow up every 2 hours. Thinkbaby is a USA manufactured sunscreen product that has taken enough steps to ensure that their product is toxin free and contains no harmful chemicals or any chemical UV absorber. It is safe for use by both adults and kids as well. The Thinkbaby sunscreen is the first to receive a pass on whole foods premium care requirements. The mineral-based sunscreen is also EWG rated 1. 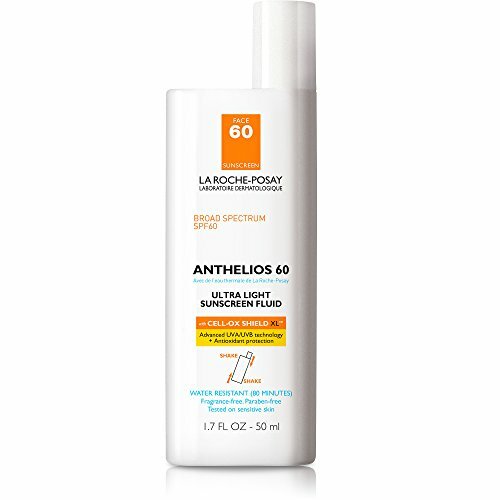 It contains the highest SPF of 50+ higher than any sunscreen in the market. It includes the broadest level of water resistance a total of 80 minutes. However, after swimming or spending time in the water, it is important to reapply the sunscreen. The sunscreen is not oily and applies very smoothly. Your skin is protected from both UVB and UVA. While using the sunscreen, it is imperative to remember applying to all the areas of the face open to sunlight. Remember areas like behind the ears neck and scalp. Apply 15 minutes before exposure to sunlight. Reapply again after every 2 hours an after every 80 minutes of spending time in water or sweating just after towel drying. Even with the ease in the spread, do not make it too thin as it will not be as effective as required. It is important to note that any occurrence of rashes should be reported to a medical practitioner immediately. The Thinkbaby safe sunscreen can be used on children as young as six months to pregnant women. You can expect it to start working as fast as after 30 minutes of application. It is advised for anyone with sensitive skin. However, before using you should first test it out on a small skin patch to ascertain of no sensitivities to the product. Authenticated by dermatologists and Pediatricians the Australian Gold Botanical Sunscreen is pleasant on the skin and has a scent that is amazing. With 25 years of production, the product has become more than a sun protection lotion. It contains a subtle tint that blends perfectly with any skin tone however it can easily wash away when exposed to water. The Australian Gold was explicitly designed for those with sensitive skin. The best thing is its ability not to clog any skin pores delivering a refreshingly luxurious feel. It is made of Australian botanical products that are rich in vitamins and antioxidants. The sunscreen contains a sun protection factor of 15 protecting the skin 15 times longer than your skin would be without sunscreen. You are as well protected from sunburn-causing sun rays (UVB) and any skin aging rays (UVA). It is as well important that the sunscreen is applied 15 minutes earlier before exposure to sunlight. After every 2 hours, you have to reapply the sunscreen. You also have to re-apply after swimming and sweating. The Australian gold sunscreen is water resistant for 80 minutes and gives you a non-greasy and non-sticky feel. Best for anyone with an acne-prone skin the Cetaphil Dermacontrol is made with a mattifying moisturizer that can control the effects of prescribed acne treatments and help the skin maintain a smooth and soft nature. The moisturizer allows the skin surface to maintain its hydration as well as control the skin shine. It also shields the body from harmful sun rays. Cetaphil has received multiple product awards. With five global research centers, the company utilizes the professional help of doctors to develop products that protect, moisturize and cleanse the skin without effects of irritation. Cetaphil performs safe testing with none of its products tested on animals. 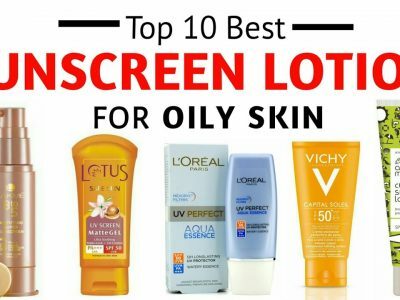 The sunscreen is best used on oily skin as well as that with acne. The moisturizer provides sun protection of 30 SPF. It uses Oleosome technology to provide a lower concentration of filters. The Oleosome is also what is responsible for the prevention of the after-greasy effect leaving the skin smooth and not oily. It works amazingly on delicate skin. It helps deal with redness and dryness that can be a result of prescription treatments. It is recommended for daily use. Always place it out of reach of children. Contact an emergency center immediately for any cases of swallowing. Created by dermatologists, the CeraVe is made with three essential ceramides that the skin requires. The ceramides enable the skin to rebuild its protective layer and close in the moisture the whole day. The sunscreen contains a microfine zinc oxide that protects the skin from light up to 50 SPF by deflecting any harmful sun rays. The sunscreen is lightweight and oil-free reducing the chances of skin pores clogging. The three ceramides provide the skin with the help it needs to restore the healthy skin’s barrier. The CeraVe has been recommended by the skin cancer foundation as an effective sunscreen. While using the product apply it 15 minutes earlier than the time set or sun exposure. Apply again after every 2 hours and after 80 minutes of spending time in the water. Avocado – used for the benefit of Onega 3 fatty acids and vitamins A, and E. the oils get through the skin and create a protective barrier on the skin. Antioxidants in the avocados contribute by soothing sunburned skin. Additionally, a compound called sterolin is as well available in Avocadoes. Sterolin helps to boost collagen levels as well as getting rid of red spots the Vitamin E in avocadoes gets rid of skin itching and inflammation. It is as well responsible for softening up rough skin. Jojoba – originating from the seeds within the jojoba fruit, the oil works perfectly in treating any inflammation or irritated skin. Just like medication, you should shake the container well before using it. While using the oil, keep the distance of the bottle 4 to 6 inches away from the skin. Always apply 15minures earlier before exposure. However, be careful not to spay directly to your face or in a windy locale. Always re-apply 80 minutes after engaging in any water activities or sweating. If not, re-apply every 2 hours. Adding sunscreen to your skin care routine is a sure way of protecting your skin from the harmful effects of the sun rays. However, not everyone is cautious enough about their skin to wear a sunscreen every day. Even with those that do, most of them are doing it wrong. Here are some common mistakes that if you change them, you can safeguard your skin from wrinkles, rough skin, re spots, and cancer. Every time you are out doing your business, you expose yourself to UV rays from the sun which may end up causing wrinkles on your beautiful skin or a worse scenario cancer. It does not matter the season. The sun’s UV light can easily pass through the clouds and reach you even on a typical cloudy day. You, however, are still unsafe indoors. UV rays can as well penetrate through the windows leaving anyone again exposed. Applying a sunscreen every day is essential if you want to stay safe from the harmful effects of UV rays. You can see the list above and choose the sunscreen that works best for you. It is crucial not to forget the areas behind the ears and the lips too. Depending on the type of sunscreen it is advisable to use it at least 30 minutes before exposing yourself to the sun. It provides enough time for the sunscreen to get into the skin and provide the needed protection. Choosing the right sunscreen is critical to the level of skin protection you receive. Some sunscreens lack antioxidants in them. Others are not stable enough to maintain the antioxidants losing it within a matter of time. By selecting one of the sunscreens from the list above, you are guaranteed of getting antioxidants in your sunscreen. Antioxidants are essential in getting rid of the aging skin radicals caused by UV. As well they help protect the skin from damage. Applying your sunscreen only once in the morning does not contribute to protecting you the whole day. For practical and lasting protection, a dermatologist advised to re-apply as often as after every 2 hours. In the same way, re-apply after finishing a swim since the initial coat is probably washed away by the water. However, always make sure that you are first dry before you do so. Sunscreen may be one of the essential skin care regiments that you always need to have around you. It helps to protect you from UV light that can cause cancer. Also, you are safe from exhibiting early aging symptoms. Even so, to achieve the best results, you need to use the sunscreen in the right manner. Get to learn of other ways to take care of your skin from our other articles.